Summer Spa Swap II – Another Swap in the Books! The Summer Spa Swap II – A Day at the Beach swap is now complete. 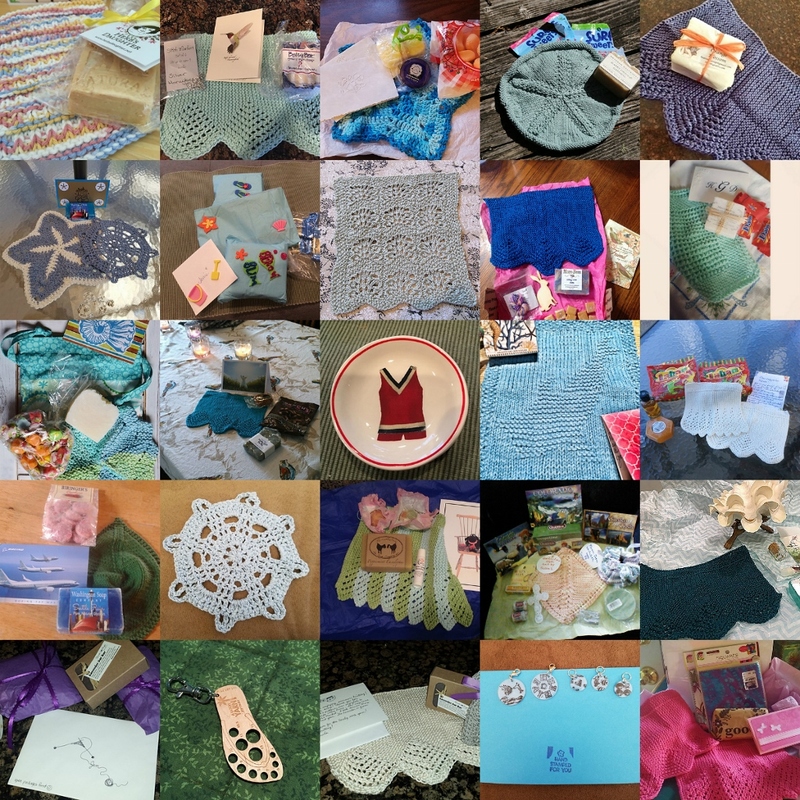 It was a great swap; everyone was very creative, and I even designed the Castle Beach Spa Cloth for the swap! I love seeing the generosity poured into these swaps – even into these mini-swaps where we’re limited to spending just a little bit on the packages we send to our SPs (swap partners). I love that our swaps are secret swaps. No one except for our amazing organizer Jen knows who is sending to whom. It’s such fun figuring out what your SP would like and then plotting and planning and putting together a special gift just for that person. It’s also great fun anticipating getting a package in the mail and then finding out who sent it. And I think our group also has fun admiring the creativity shown in the packages put together by each person as the packages arrive and as pictures and thanks are posted in the group. I think our next mini-swap might be a Fall/Halloween mini-swap after the Ravellenic Games are over. There is talk of a mini-Advent swap too. Our swaps are great ways to get to know some other knitters a little better, to make a quick little project, and to receive a fun little something too. Come check out the group if this sounds like something you would enjoy. Next Post The Ravellenic Games! I have so much fun doing these swaps. Yay, and welcome to the group! Lovely post Carol! We have such a wonderful group and it makes running the swaps such a joy 😄.